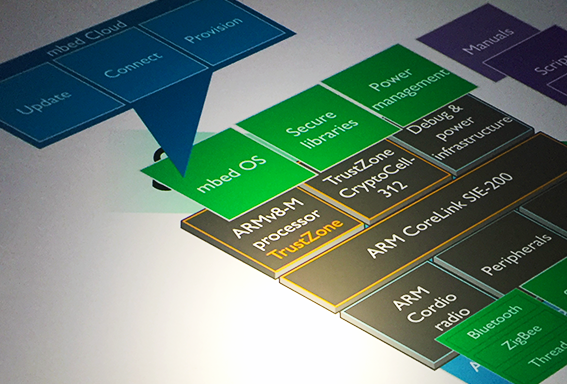 ARM unveiled new processors for delivering security, efficiency, low-power connectivity and device life cycle management for the Internet of Things (IoT). The rolluot includes the new processors, radio technology, subsystems, end-to-end security and a cloud-based services platform, ARM is aiming to increase the rate at which IoT scales globally. Cortex-M33 features configuration options including a coprocessor interface, DSP and floating point computation, with increased performance and efficiency relative to Cortex-M3 and Cortex-M4. Cortex-M23 takes security to the most constrained devices, building on the standard set by Cortex-M0+ as an ultra-low power microprocessor in a tiny footprint. Next-generation ARM Cordio radio IP with Bluetooth 5 and 802.15.4-based standards ZigBee and Thread. Next-generation Bluetooth 5 enables faster data rates and extends ranges within existing ultra-low-power envelopes. 802.15.4 helps to ensure compatibility within the expanding ZigBee and Thread device market. New mbed Cloud, a new standards and cloud-based SaaS solution for secure IoT device management. mbed Cloud helps OEMs to simplify connection, provisioning, updating and securing of devices across complex networks. Netronome announced the addition of Express Virtio (XVIO) technology to its Agilio Server Networking Platform. The XVIO technology brings to the standard Virtio drivers available in many Guest OS’s the level of performance of SR-IOV solutions but maintains full VM mobility. The advanced XVIO technology is based on and builds upon industry standard and open source technologies such as SR-IOV, Virtio and DPDK supported by OpenStack. The XVIO technology and software components are transparent and integrate easily with open source and commercial server networking software such Open vSwitch (OVS), Linux Firewall and Contrail vRouter. VMs and their applications do not require any changes and all popular guest operation systems with standard Virtio drivers are supported. 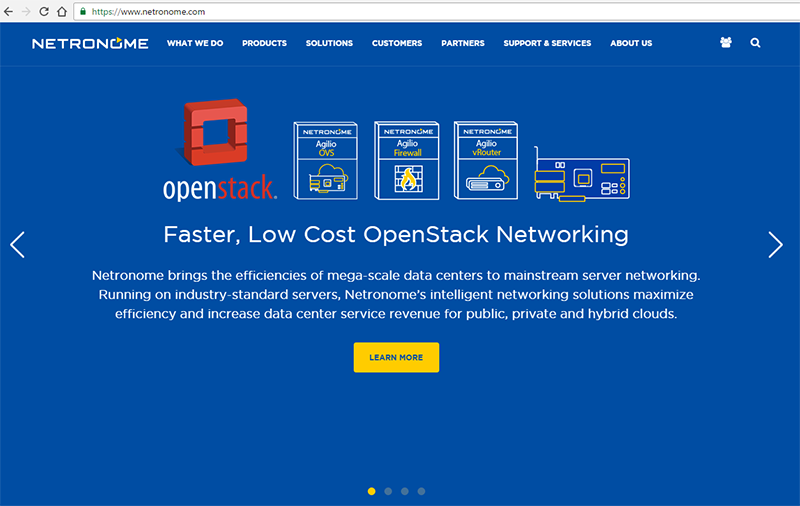 Netronome has implemented solutions to seamlessly integrate XVIO technology into OpenStack and has an OpenStack request for enhancement (RFE) to Nova and Neutron components for the same. 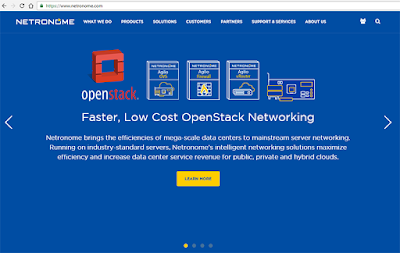 Netronome said its solution enables virtual machines (VMs) managed using OpenStack to experience bare metal-like networking performance while at the same time supporting complete hardware independence and seamless customer VM onboarding. For the cloud service provider, the benefit utilizing OpenStack cloud orchestration is a consistent and homogenous infrastructure where VMs can be placed and moved to optimize utilization of the data center while maintaining high performance. 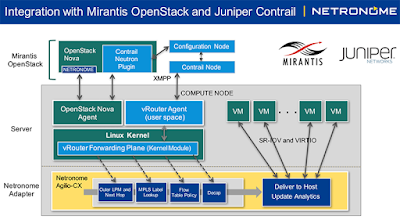 XVIO technology enabled in Agilio server networking platforms such as Agilio OVS and Agilio vRouter are now integrated with Ericsson’s Cloud SDN product and Juniper’s Open Contrail vRouter product respectively, enabling OpenStack-based networking to deliver higher application performance while reducing TCO by up to 6 times. 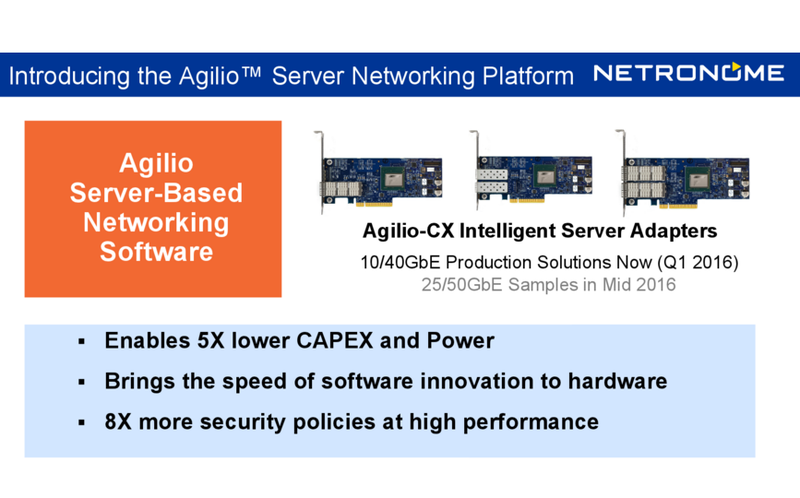 Netronome has tuned its Agilio Server Networking Platform for delivering hardware-acceleration for OpenStack networking, allowing data centers to accelerate applications such as network virtualization, security, load balancing and telemetry using different data plane options suitable for use cases spanning traditional IT to IaaS and Telco NFV workloads. Netronome's own testing has found a 5X boost in VM performance when network functions are offloaded to its Agilio interface cards. At this week's OpenStack Summit in Austin, Netronome, in collaboration with Ericsson and Mirantis, is showcasing acceleration of open source datapath implementations, specifically, Open vSwitch (OVS), Stateful Firewall (Connection Tracking) and OpenContrail vRouter using Agilio CX intelligent server adapters. The company said this approach will be incorporated as an enhanced OpenStack networking plug-in architecture specification. As a result, critical networking functions that would otherwise hamper performance of the OpenStack implementation are offloaded to the Agilio platform, accommodating significantly more virtual machines per server leading to up to 6X lower TCO and higher services revenue per server compared to traditional NICs. Netronome introduced its Agilio Server Networking Platform for transparently offloading server-based networking data paths, such as open virtual switch (OVS), Juniper Networks Contrail vRouter, and Linux firewall. The company said its hardware and software-based Agilio platform delivers up to 5X higher throughput while reducing CPU requirements by up to 80 percent compared to traditional NICs and server-based networking implemented in software. Server-based networking is being widely deployed in cloud data centers to handle virtualization, firewalls, load balancing, telemetry, zero-trust security using micro-segmentation, virtual network functions (VNFs) and application-based analytics. The big cloud providers (AWS, Microsoft Azure, Google) are using server-based networking in their mega data centers. Netronome's Agilio solution accelerates such server-based networking functions by offloading compute-intensive flow and tunnel processing from the CPUs. 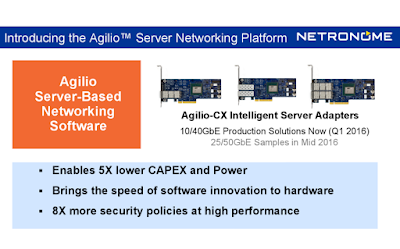 The Agilio CX intelligent server adapters (ISAs) are based on Netronome's own flow processing silicon (NFP-4000) and software architecture (Agilio Software). The Agilio ISAs use onboard memory to support up to two million security policies, and deliver 28Mpps of throughput using hardware-based acceleration. Sprint reported the first year-over-year increase in total net quarterly operating revenues in over two years, a year-over-year increase of more than five times in postpaid phone net additions, and record low postpaid phone churn. Total net operating revenues were $8.25 billion grew 3 percent year-over-year and wireless net operating revenues of $7.85 billion grew nearly 5 percent year-over-year. 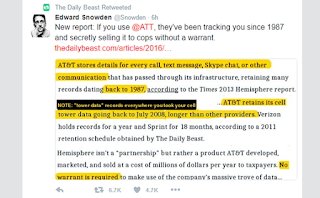 The company also reported a net loss of $142 million, operating income of $622 million, and Adjusted EBITDA of $2.35 billion. Total liquidity was $11.3 billion at the end of the quarter, including $5.7 billion of cash, cash equivalents and short-term investments. Additionally, the company also has $1.1 billion of availability under vendor financing agreements that can be used toward the purchase of 2.5GHz network equipment. Last week, the company priced $3.5 billion of spectrum-backed senior secured notes at 3.36 percent, which is less than half of the company’s current effective interest rate. Total net additions were 740,000 in the quarter, including postpaid net additions of 344,000, prepaid net losses of 427,000, and wholesale and affiliate net additions of 823,000. Total postpaid churn of 1.52 percent in the quarter improved by two basis points year-over-year. Sprint said it aims to unlock the value of the largest spectrum holdings in the U.S. by densifying and optimizing its network to provide customers the best experience. 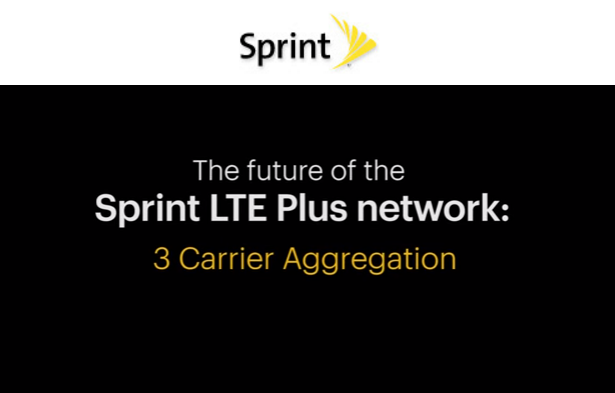 The company’s LTE Plus Network combines a rich tri-band spectrum portfolio with the LTE Advanced features of carrier aggregation and antenna beamforming. 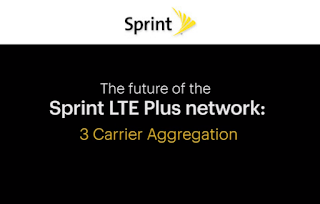 Sprint’s LTE Plus Network is now available in more than 250 markets and the company has started to deploy three-channel carrier aggregation in such markets as Chicago, San Francisco, Minneapolis, Dallas, Denver, Kansas City, Cleveland, and Columbus. 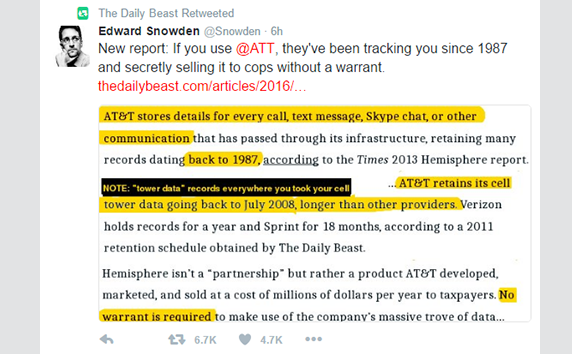 These deployments will provide peak download speeds of more than 200Mbps on capable devices when available. The company currently has 10 three-channel carrier aggregation capable devices, including the recently launched iPhone 7 and Samsung Galaxy S7. Juniper Networks reported Q3 revenues of $1,285.3 million, an increase of 3% year-over-year and an increase of 5% sequentially. GAAP operating margin for the third quarter of 2016 was 19.5%, a decrease from 20.7% in the third quarter of 2015, and an increase from 16.7% in the second quarter of 2016. Net income (GAAP) was $172.4 million, a decrease of 13% year-over-year and an increase of 23% sequentially. GAAP diluted earnings per share for the third quarter of 2016 was $0.45. "I am pleased to report a solid quarter of revenue growth and operating performance. We are executing well on our strategy, with a product and innovation pipeline that has never been stronger," said Rami Rahim, chief executive officer at Juniper Networks. "One of the most important trends happening around us is the shift to the cloud, which is shaping our strategy and plays to Juniper's core competencies in building high-performance networks. I am optimistic with where we are headed as a company and our ability to continue to innovate, deliver value to our customers and expand our business opportunities." "We delivered solid profitability and continued to generate strong cash flow from operations, with meaningful sequential improvements across key performance metrics: earnings per share, operating margin and operating income," said Ken Miller, chief financial officer at Juniper Networks. "We believe our strategy, products and ongoing investments will enable us to drive top-line growth and grow shareholder value for the long-term." 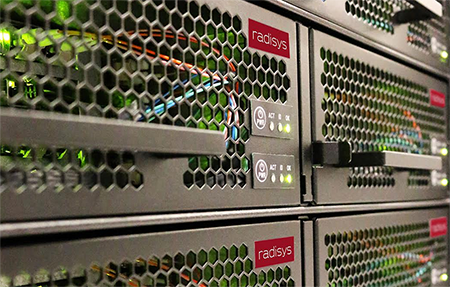 Radisys posted Q3 revenue of $55.4 million, representing a 24% year-on-year revenue growth. GAAP loss per share was $0.07, with non-GAAP earnings of $0.07 per diluted share. Software-Systems revenue was $10.4 million, compared to $14.6 million in the prior quarter and $15.5 million in the third quarter of 2015. The year-on-year decline was the result of large prior year orders for MediaEngine product from an Asian service provider deploying its greenfield LTE network. Embedded Products revenue was $45.0 million, compared to $46.7 million in the prior quarter and $29.3 million in the third quarter of 2015. The year-on-year increase reflects the shipment of follow-on DCEngine orders and growth with existing Embedded customers, offset by expected declines with non-strategic legacy customers. “Third quarter revenue exceeded the top end of our guidance range, due in part to a partial pull-in of DCEngine orders from our largest Tier 1 U.S. customer that we previously expected to deliver in the fourth quarter,” said Brian Bronson, Radisys President and Chief Executive Officer. “Earnings were also better than expected in the quarter, resulting in non-GAAP earnings per share of $0.21 for the first nine months of 2016, which is equivalent to our full year EPS in 2015. “Strategically, the ongoing traction with our Tier 1 U.S. customer over the last few quarters for both DCEngine and FlowEngine, combined with the recently expanded activity across multiple product lines at our large customer in Asia, are powerful testaments to our ability to introduce and implement highly disruptive solutions for leading service providers. Our execution in support of commercial deployments by these service providers has meaningfully elevated awareness of Radisys at multiple Tier 1 service providers that are now either actively evaluating in labs or conducting trials of our DCEngine and FlowEngine products. During the quarter, we also advanced sales activity for our MediaEngine product line by securing a long-term strategic win in support of next-generation NFV conferencing deployments, which we expect initial bookings from in the first half of 2017. 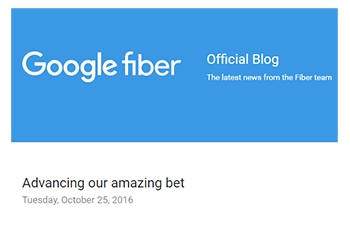 The Google Fiber project officially confirmed that it is pausing operations and laying off workers in many cities where it had once anticipated deploying an FTTH network. The company is now considering new technology options and may resume discussions with potential partners in the future. Google Fiber will continue the rollout in cities where the service has already launched or where construction is underway. Craig Barratt, SVP, Alphabet and CEO of Access, is stepping down.